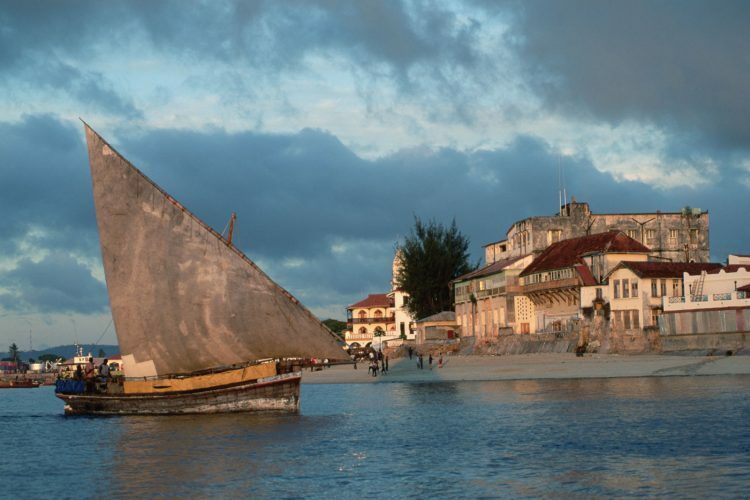 On this Photo-tour not only will you will explore Stone Town and the island of Zanzibar – you will learn about the history and the people from Ishvara and improve your photographic skills under the guidance of Peter Hassall and Leanne Dryburgh. We will also be visiting spice farms, museums, tropical forests and sailing to small islands. There is a minimum of 8 people and a maximum of 16. Ishvara Dhyan is South African yet has traveled to Zanzibar many times and know Zanzibar intimately He is deeply knowledgeable about the area, food, fabrics, history, buildings and the culture. His business, Ancient Secrets, has been running for many years and he specialises in Cultural Tours through the Inner City of Johannesburg. thephotowalkers.com and Ancient Secrets teamed up in 2016 and offer a wonderful combination of photography and culture. Peter Hassall (National President of SA Pro-Photographers with 35 years experience) and Leanne Dryburgh (Western Cape Manager of SA Pro-Photographers with 27 years experience) from thephotowalkers.com are the photographers selected for this tour. Peter Hassall will join if there are more than 8 photographers booked. Thursday 18th July: Flight from Johannesburg land at 11h35 where we will be there to welcome you. If you are any other flight that day – we will also be there to welcome you. Check in at your accommodation and in the afternoon we will do an orientation walk of Stone Town and take panoramic shots from the rooftops. Friday 19th July: The morning will be spent exploring the old residential buildings, famous for the magnificent door frames. Also we will get to photograph the many mosques and markets of Stone Town. A great photo opportunity is to capture the magic of these ancient buildings, wandering down side streets. Peter Hassall, a specialist in Architecture Photography will teach you how best to capture these. The afternoon is at your own leisure to shop and explore alone. In the evening we will visit the Forodhani Gardens where all the locals gather to eat traditional street food and socialize. Great for portrait photography. Leanne Dryburgh, a specialist in Portrait Photography will teach you how best to capture them. Bait As-Sahel – the Sultan’s Palace, destroyed by the British 1896 ,after the shortest war in history. The Old Dispensary, with its peppermint-green latticework balconies is certainly one the most beautiful buildings in Zanzibar. The Hamamni Persian Baths, built by Sultan Barghash in the late 19th century, these were the first public baths on Zanzibar. The Stone Town Slave Market which was the world’s last open slave markets, presided over by Arab traders until it was shut down by the British in 1873. The slaves were shipped here in dhows from the mainland, crammed so tightly that many fell ill and died or were thrown overboard. Sunday 21st July: A day to experience spices – after all, the island of Zanzibar is known as the Spice Island. We will travel into the countryside for about 30 minutes from historical Stone Town, and observe rural village life in Zanzibar. Along the way we will visit the ruins of the Mtoni Palace, where the famous Princess Salme lived, until she escaped, after falling in love with a German. Once we are at a spice farm we will be met by a local guide and have the opportunity to touch, smell, and taste several spices and fruits during a walking tour of the farm. Ishvara has previously lectured at Prue Leith academy and will also share recipes and go into detail about the various spices. Cloves, Nutmeg, Ginger, Cardamom, Black Pepper and Cinnamon are just a few of the many spices Zanzibar is famous for. A great opportunity to photograph these spices close up. In the afternoon we will explore the spice market in Stone Town. Spices and cooking is Ishvara’s speciality – you will gain a wealth of knowledge. Monday 22nd July: Day on your own to explore and photograph this picturesque historical town. In the late afternoon we will meet at the Hotel to give feedback on images and go through filing and backing up your images. Tuesday 23rd July: Early check out to the fishing areas to photograph the Dhows and fishing industry of Stone Town and Check into our new accommodation. Dinner followed by low light photography workshop in the evening on the beach. Wednesday 24th July: Travel by boat over tropical waters to Prison Island known locally as Changuu, for a tour of this wonderland. The island’s most famous inhabitant, a 192-year-old tortoise, wanders the island and may be available for a photo session. After meeting some friendly reptiles, go for a swim or snorkel in the warm waters. Afternoon and evening on own. Thursday 28th July: An early venture into the jungle of Jozani Forest to spot the area’s red Colobus monkeys as they swing and howl in the trees. Wander down a trail through this protected area and spot some of 50 species of butterflies, 40 types of birds, as well as a few endangered animals. Walk down a nature trail and observe the vast canopy above, as well as the sub-canopies created by smaller trees and shrubs. Listen for the songs of some of the island’s native birds and keep a lookout for monkeys. Depart for airport. Stone Town: Bed and Breakfast Accommodation where the group is staying is in between $85.00 and $145.00 per person per night depending on availability at the time of booking and your preferences (back room or sea facing room – details on the booking form). Self catering is between $60.00 and $110.00 per person per night. On the beach: Bed and Breakfast Accommodation in between $60.00 and $150.00 per person per night depending on availability at the time of booking and your preferences (back room or sea facing room – details on the booking form). Self catering is between $60.00 and $110.00 per person per night. You are welcome to book your own accommodation but will be liable for the transport costs to meet the group. All local transport based on the itinerary is included. Transport of a personal nature during free time is excluded (a local taxi to shops or an activity that you may choose). Any emergency transport or additional transport due to unforeseen circumstances is excluded. The full price of this tour is $1950.00 per person. A deposit of $500.00 per person is required to secure your place/s. This will be held in a trust account and refunded to you should the minimum number of people (eight) not be reached by the closing date for the tour – 30 April 2019. 50% of the balance is payable by no later than 10 May 2019 and the balance is payable in full by 30 June 2019. Two Accredited SA Pro-Photographers to guide and teach you throughout the tour. Ishvara. All entrance fees and transport including Airport transfers. Logistics, planning and bookings. Accommodation (you choose what accommodation you would like – details above and under the booking tab above), Passports, Visas, Travel Insurance, Medical Aid, Cash and Vaccinations. No Visas required for SA citizens. In order to achieve the most from the Accredited South African Professional Photographer, a camera body with a manual mode function is recommended. However, all makes of cameras and cell phones are welcome. Please bring a spare battery or two – and enough memory cards. Dress for a beach holiday that can get cool in the evenings. Swimming costumes and comfortable walking shoes are a must. A certain level of fitness is required to enable you to transport your own camera bag and personal effects. Reasonably short to medium distances are covered. If during ‘free time’ you would like to partake in other adventures, additional fitness may be required.